A senior manager with Zenith Bank who brutalized his wife because she could not give him a male child has been sacked by the organization. 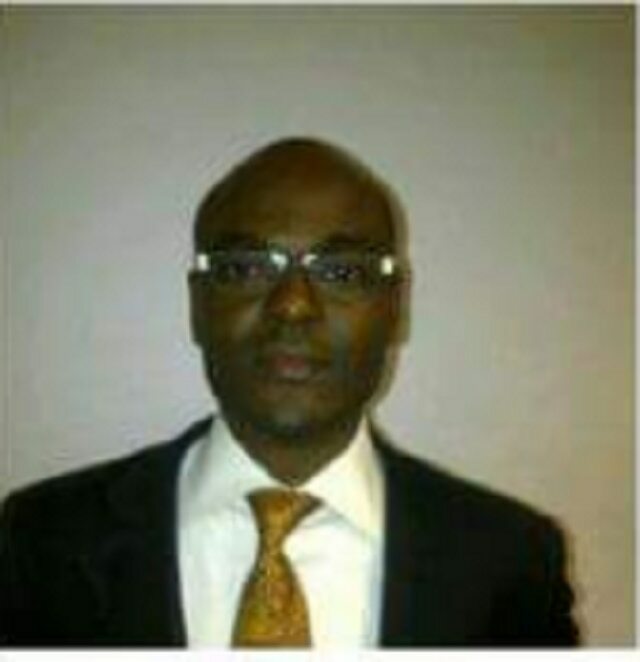 A senior manager with Zenith Bank, John Edobor, has lost his job with the bank after he got involved in a case of wife battery and attempted murder. 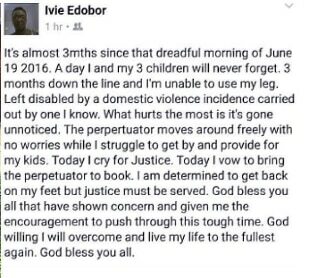 Edobor who was a manager with the bank had allegedly brutalized his estranged wife, Ivie, because she could not bear him a male child after three female children and in the process, fractured her legs apart from inflicting severe injuries on her. The case, according to the victim’s lawyer, Emeka Ugwuonye, has now been taken up by the Lagos State Government with the charge upgraded from the initial grievous bodily harm to attempted murder. “I just received a call from a top official of Zenith Bank to inform me that Mr. John Edobor has been fired from Zenith Bank. They made it clear to me that the reason they did so was because of the domestic violence he committed on his estranged wife, Ivie. The call was in response to the email I sent to Zenith two days ago indicating that DPA would commence a protest on the matter. Recall that sometime in September, the battered woman had cried out for help following her estranged husband’s violence on her because she gave birth to three female children for him.